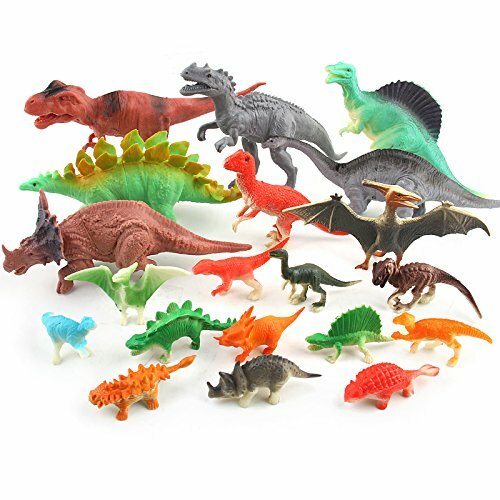 20 pack sizeable 3''-7'' dinosaurs toys with vibrant colors. Made from durable, nontoxic, bpa free high-quality plastic, strong enough to withstand hours of rugged play. Kids will enjoy hours of imaginative play with realistic-looking dinosaurs. Fun and educational for both boys and girls alike. Just right for a school / science project or even for taking with you on road trips or in the house! Fun dino toys tested and approved by real kids. Great for stocking stuffers, party favors, birthday party games, educational purposes, party decoration, party favors, handouts or rewards. Ideal party favor or gift for a dinosaur themed birthday party. If you have any questions about this product by KRATO, contact us by completing and submitting the form below. If you are looking for a specif part number, please include it with your message. Purple Ladybug Novelty Squishy Mesh Ball Variety 6 Stress Relief Squishy Mesh Balls, Including 1 LED Light up, 2 Glitter 2 Color Changing Mesh Stress Balls - Great Sensory Toys!